One of the more enduring—and sinister—folk tales involves a stranger with the ability to lure children with a siren’s song played on a simple pipe. The myth of the mysterious minstrel who rid a rustic German village of its rat infestation only later to return and lure the hamlet’s children away to an unknown fate intrigues readers even today. While myths and legends often champion heroic deeds and good works, this story celebrates neither heroism nor virtue. Embodied in this legend are many aspects of humanity’s darker demons—greed, deceit, and revenge all feature prominently. And it is a story without resolution or a redeeming moral lesson. Interestingly enough, this more than twice-told tale may have a basis in historical fact. The disappearance of 130 children from Hameln, Germany, in 1284 is documented in the town’s records dating back to a century after the event. However, the anonymous scribe did not note the reason why the children vanished, leaving behind only an ambiguous annotation: “It is 100 years since our children left”. A tantalizing mystery lurks behind this vague statement written by a German civic chronicler over six centuries ago. Hameln (or the Anglicized “Hamelin”) lies at the confluence of the Weser and the Small Hamel rivers in northwest Germany, about 25 miles (40 km) southwest of Hannover (the Anglicized “Hanover”). The lifeline, the Weser River, meanders from Hameln’s heart, tracking NNW about 120 miles (192 km) as the crow flies, and empties into an eponymous bay connected to the North Sea. The modern city of Hameln occupies a site that by the 8th Century CE was a missionary station and a military camp. Hameln grew into a burgeoning medieval city by 1200. The townspeople, however, were defeated at Sedemünde by the forces of Bishop Wedekind von Minden; the victor purchased Hameln in 1259 in the wake of that defeat. The city grew into an industrial center though suffering setbacks from partial destruction during the Thirty Years’ War (1618-1648), the Seven Years’ War (1756-1763), and the Napoleonic Wars (1799-1815). Credit: American Peoples Encyclopedia, 1963Beyond its unsung contributions to Germany’s industrial economy, Hameln is famous for a very valuable but intangible commodity, its Pied Piper legend. And the most popular version of the story begins with a very severe problem. In the year 1284 in Hameln, rats were everywhere. The bubonic plague (of Asian origin), borne by fleas from these vicious, gnawing, destructive rodents did not make its first appearance in Europe until 1347. The spark for a plague that became known as the Black Death was ignited that year. Using a crude form of biological warfare Turks besieging a Genoese trading post in the Crimea catapulted plague-infested corpses into the town. From there the malaise spread from Near East Mediterranean ports. The plague ravaged Europe between 1347 and 1351 (the most virulent, but not the last, appearance it would make in history). The rats of Hameln, though, predated the dreaded Black Death by several decades. Though not responsible for pestilence the rat infestation was to blame for the destruction of pretty much everything of value, most importantly grains needed for plantings and food. As a milling town, its commerce was tied to processing grain, good grain, grain entrusted to the miller’s care. On the brink of a local famine, the very survival of the townspeople required exterminating the vermin. The job of rat-catcher was one held with honor in many medieval villages; though Hameln had such a man, he was helpless in the face of such numbers. The town’s council drew together to find a solution. None was presented. In misery the people battled the overwhelming rats as best they could. As luck would have it, a strangely dressed man—a vagabond musician, or so he looked—wandered into Hameln. Perhaps he had heard of their horrific rat problem and went to the beleaguered village on purpose. Or, he just happened to show up at the right time. Regardless, he presented himself to the town’s council and claimed he could get rid of the rats—for a fee, of course. Skeptical, the Mayor of Hameln asked how the mysterious minstrel could work such a miracle. The man was dressed in patchwork clothing of yellow, green, and red (by the 14th Century this color scheme, featuring two or more colors, was called “pied”). Though clean-shaven and commanding in his bearing the Mayor and the rest of the council found it hard to believe such a raggedly dressed wanderer could relieve their suffering. The piper rebutted that he possessed magic sufficiently strong that, by merely playing a tune on his instrument, he could draw all the rats from their nests, hiding places, and feeding spots. He said he could herd them from the city and entice them to leap into the Weser River, drowning every last one. Payment was agreed upon, and the piper set to work. Tootling a tune, the piper strode through the streets of Hameln. Rats poured from every crevice and house, from every gutter downspout and grain basket, from every hole and nesting burrow. He played his hypnotic song, leading the pests to the bank of the Weser. Without a word or gesture from him the rodents flung themselves into the rushing waters as he continued playing. Soon, the river’s surface was dotted with the brown and black floating corpses of dead rats. Finding he would not be paid, the piper left town on an ominous note, claiming he would get his revenge. On June 26 (the day of Saints John and Paul on medieval Church calendars), 1284, the enigmatic, itinerant musician returned to Hameln. This time he wore different garb, the Lincoln green traditionally ascribed to hunters. While the adults of the town attended services at the church, the piper warmed up his instrument and started a new song. Enchanted by his playing, the town’s children (apparently not needing parental supervision nor required to attend church services) swarmed into the streets, mesmerized by the fakir-like sway the music held over them. The village’s children followed behind the piper, dancing and merrily romping along. He strolled out of town, with more than 100 children of Hameln following his lead. They climbed a nearby rise outside the hamlet; the piper’s music drew them into a cave. Neither the children nor the Pied Piper was ever seen again. The story is an interesting one, with seemingly no resolution: the children are taken away, The End. Efforts to alleviate the abruptness of the tale’s denouement came later. An embellishment retold the story with three children escaping the fate of the others. These were a lame boy who Credit: gutenberg.orgcould not keep up with the pack, a blind boy similarly not able to navigate the streets and meadows toward doom, and a deaf girl who hadn’t heard the music in the first place. The lame boy was the hero, telling the adults what had happened when they returned from church later that day. A search proved fruitless—the villagers believed the children had been swallowed up in the cave. Another retelling has the piper parade the children to the top of Koppelberg Hill (a local landmark rise). From there, the cave in the hill was not the end of the road but the entranceway to a wonderfully fantastic land, one of beauty and joy. More malevolently, this version is told with a slightly different ending—the piper takes them to such a wondrous place but it is for his own nefarious ends (hinting at pedophilia). Minor twists on this version change the destination to Koppenberg Mountain, or Koppen Mountain, or the forests near Coppenbrügge. The earliest versions of Hänsel and Gretl included the brutality of children being cannibalized by a wicked witch. The witch was pushed into her oven by Gretl, where she burned to death. Later retellings changed these gorier details. Any children lured by the witch weren’t dead (having been eaten) they had merely been enchanted, changed into gingerbread. The witch hadn’t been burned alive in an oven, either; magically, she was transformed into harmless gingerbread. When this happened her spell was broken and the gingerbread figures turned back into flesh-and-blood children. The Pied Piper legend has an equally contrived “happy ending” that was disseminated well after the original story had passed into the collective conscience of the German people. This “politically correct” ending has the malevolent minstrel retrieving the children from their holding place after he was paid off in gold. Regardless of comforts drawn from happy endings by the hypersensitive, or added details (such as citing Koppen Hill as a hideout) that attempt to lend credibility to the piper’s tale, it is only that—a tale. Similar legends are found in the oral traditions of other parts of Germany. Comparable stories can also be found in the folk lore of the Near East and China. But the legend of the Pied Piper cannot be totally dismissed as fiction in its entirety, either. The plot of the story boils down to two events: 1) a wandering rat-catcher rid the village of Hameln of its rat infestation and 2) denied payment the rat-catcher kidnapped the town’s children en masse. The part of the story about the rats’ removal is probably false. The latter action sequence wherein the town’s children disappear, disturbingly enough, is probably true. Keys to the relative legitimacy of The Legend of the Pied Piper come from oral traditions and old manuscripts. The story was known in its first versions only insofar as a stranger came to town and lured the children away. That was the only action of the narrative. The prefatory action of exterminating the village’s rats was not an element of the first versions of the story. That came later; its first known inclusion, as a part of the action, wasn’t noted until the popularity of a version from 1559. Germany had a basis for its rat story of Hameln. On the Rhine River, roughly 20 miles (32 km) west of Mainz, lies the ancient village of Bingen. It boasts a structure, set up in the middle of the Rhine River, which functioned as a toll tower for passing river traffic. It was built in the 13th Century, destroyed by the French in 1689, and then rebuilt in 1855. The word for “toll tower” was “mautturm”. Thanks to its history (or a corruption of the German word “mautturm”) this edifice is more popularly known as “mäuseturm”—“Mouse Tower”. Mice and other rodent hordes feature prominently in medieval German folk lore. The German collective oral tradition had at least three versions of a “Mouse Tower” story circulating in its darker backwoods regions around the time of the pied piper incident of 1284. The best version of the Mouse Tower tale was first voiced in 1290 by a priest, Siegfried von Meissen. The cleric told of the archbishop of Mainz, Hatto II, who was also the imperial chancellor. Hatto II was a villainous prelate and a corrupt administrator. He was not sympathetic to the condition of the people over whom he held power. During a local famine, starving people could not afford the high price of grain controlled by Hatto II, tons of which were zealously guarded in Mainz storage granaries. Repeated break-ins annoyed the archbishop as did his growing fear of a peasant rebellion induced by hunger. He told the starving to come to a particular set of grain barns where he would issue them grain rations free of charge. Once the people arrived and were herded into the barns (believing they would be fed) Hatto II ordered the granaries burned. Many people perished. In addition to killing the starving foragers, the other thing the fires did was flush out the mice that lived in the granaries. They swarmed the city; Hatto II, terrified of the rodent horde, sought safety first in his opulent Mainz castle. The mice found him there, so he fled toward Bingen. He sought refuge in the toll tower in the Rhine River. The mice, apparently seeking retribution for burning them out of their granary homes, swam the river and invaded the tower. Hatto II was eaten alive by the vindictive pests, and the tale was used as a moral lesson: the mice were sent as a punishment for his callous burning of the granaries, killing the people inside. As for Hameln and its alleged rat problem, the town’s records date back centuries nearly to the time of its establishment as a “city”. Given the scope of such a pestilent infestation of rats, it is almost certain some mention would have been made of such a calamity for the relevant year. Such documentation might appear as nothing more than a clerk’s pedestrian ledger entry, that “so-and-so, rat-catcher” had been paid out of city funds. However, the city’s official records say nothing of the kind: no mention of rats, no mention of paying anyone for extermination services rendered (“pied” piper or not). Combined with the folk lore tales of mouse vengeance in towers and the fact that the earliest versions of the Pied Piper story never mentions rats or their removal, that part of the tale can be likely discarded as pure fabrication and literary license taken by later narrators. What could compel all the children of a village to suddenly depart? The chronicler only mentions the “children left” 100 years earlier. He did not say they were kidnapped or lured away by a pied piper. There are many scholars who take the core elements of many folk tales seriously. For example, a serious investigation into the story of Cinderella revealed she had her “ancestry” in a very real slave girl, possibly named Doricah but better known as Rhodopis. She was originally from Thrace and once shared a household with the slave Aesop (of fable fame). Her legend, including the detail of the lost slipper, evolved after she had been sold to an Egyptian master—the fairy story aspect of her life developed there in the Land of the Pharaohs. So, too, folklorists and serious researchers may tease some details of merit from the myth of the Pied Piper. Clues come from many sources; as springboards they are helpful. Random suggestions over the years have alluded to the children drowning in the Weser (perhaps, like lemmings, compelled to jump into its waters); a plague (though it would have to be something other than the Black Death as that had not invaded Europe yet); a natural disaster such as a landslide (one, apparently, that only kills children) and other equally flimsy and unsupported guesses. It is incumbent, then, to look at what is available as evidence and not guess about alien abductions or sinkholes opening up in the earth. First is the statement of record: “the children left”. They were not kidnapped, coerced, or involuntarily enticed to depart Hameln. They did not drown in the Weser. They were not buried alive by a landslide. They left. By itself, this statement can eliminate any ridiculous external forces such as an earthquake’s swallowing them up. The chronicler would have made mention of any aberrant reasons for their departure. With this solitary sentence some rational hypotheses developed. A good one, better thought-out than the plague or landslide postulations, is that the children of Hameln were enthralled by an evangelist, similar to Nicholas (a Rhineland shepherd boy). Nicholas had fervently aroused enough religious passion in the children of Germany that a Children’s Crusade was formed in 1212. With the Fourth Crusade’s failure (in 1204) to even reach the Holy Land (and attempt to wrest it from “the Infidel”, the Muslims who held it), Nicholas believed, where men had failed, children could prevail (because of their innocence). Gathering under the leadership of a French boy (who had gotten wind of Nicholas’ activities in Germany) several thousand French youths set out on their own Crusade about the time Nicholas and his followers were first crossing the Alps. Stephen of Cloyes led a group of 30,000 through France toward the Mediterranean. They tarried in the suburbs of Paris where roughly half of his acolytes defected and went home. More desertions followed before the group reached the sea. Once there ships they had been promised failed to materialize—opportunists offered vessels to sail them to the Holy Land. Two of the ships sank in a storm; the remaining 700 children were sold into slavery in northern Africa. Though the minor details of the Children’s Crusades vary from telling to telling (or from researcher to researcher) the mass migration was noted by contemporaries. Such is also the case of the dearly departed children of Hameln—the event was important enough to warrant recognition of its anniversary a century later. However, there is nothing either documented or on the cultural landscape to prove the disappearance of Hameln’s children was related to the sudden chauvinistic religious fervor of massing yet another Children’s Crusade to the Holy Land. So, this exploration can be ruled a dead end. The house is styled “The Pied Piper House” solely because of the inscription, having no direct connection to the legend. Whenever looking for truth in history, many times the best clues are in minutiae. While the chronicler of 1384 failed to note details, The Pied Piper House’s memorial inscription carries value in both what it says and in what it doesn’t say. There is no reference to rat extermination (thus supporting the decision to eliminate that aspect of the story as “truth” for the obvious reason it would have been mentioned). The clear specificity of “130 children”, though, bears investigation; it is in the explicit stating of the number of children lost that perhaps the best hypothesis to the events of 1284 can be formed. The inscription does not say “all the children” or “scores of children” or “some children”: the inscription gives a definite number. And the number is not an apparently random round figure, such as “100”, it is the irregular “130”. This implies that at or around the time of the children’s departure a census of some type was taken. This may have been done retroactively (counting heads and finding out who was missing). More probable, though, is that this count was taken at the time of their leaving. And it is more than likely they left voluntarily, induced to do so by promises of a better life elsewhere. A migration conjecture, then, can be explored. Among the migration hypotheses existing is one that relies upon “selling off” children. In feudal Germany (as in most of Europe) the oldest son inherited the father’s estates (lands, cattle, etc.) by custom, leaving the inheritor’s siblings as serfs in his care. With orphans, illegitimate children, and far fewer landlords than serfs the area’s economy (as well as in other parts of Germany) was strained with overcrowding and lack of productivity. By the 13th Century, according to proponents, the area around the Weser was overpopulated. The need to cull people from the region, shipping them elsewhere, was eventually executed by selling off orphans, bastards, and other children the town felt it could no longer support. These were sold to a “recruiter” from the Baltic region of Eastern Europe. The story of the Pied Piper was created later to mask this callous act. Because of the “shame” attached to such an unfeeling deed the town’s chroniclers never recorded the event in detail, not wanting to preserve a record of their despicable actions for future generations to ponder. In support of this conjecture, an essayist noted that many surnames in certain parts of Eastern Europe are clearly of Germanic origin, specifically connected to surnames known from the Weser area of Hameln. This is an interesting suggestion, but there is a far better and more factually-based hypothesis that best explains the disappearance of a certain number of children from Hameln in 1284. And it also gives a better reason why some people in Poland have surnames from Hameln. Germans had defeated the Danes at the Battle of Bornhöved in 1227. This wrested control of an extensive piece of real estate south of the Baltic Sea from the Danes; with new lands under its aegis, Germany could colonize. Assimilating the conquered native Slavs was critical. Germany’s ruling classes (bishops and members of the nobility) formed a plan to entice native Germans to settle the newly-acquired Baltic territory. “Lokators” (medieval recruitment officers) were sent out to Germany’s nether regions. It was the job of these recruiters to offer incentives (whether money, land, or—in the case of a serf—personal freedom) to anyone willing to move east and settle in Germany’s newest acquisition. Thousands of people (mostly young adults) took the traveling lokators up on the offer for a better chance elsewhere, and people from Lower Saxony (where Hameln is located) and Westphalia headed east. People from Hameln and its environs also settled parts of Transylvania. The Transylvania region had experienced raids under the most westward approach of the Mongols, led by two grandsons of Genghis Khan, in the early 13th Century. Repopulating the area with Germans began around the time the Pied Piper legend developed. Etymologists and linguistics experts point to nomenclature in lands far removed from Germany as proof of a German eastward migration. These scholars make note of place names in Slavic lands with Westphalian origins. Also of interest are five villages, all with the Germanic name “Hindenburg”, following a straight-line course eastward from Germany’s Westphalia to the Slavic Pomerania. Etymologists have also discovered the German influence in the language of modern Poland. The research method used to arrive at the conclusion was simple yet elegant. 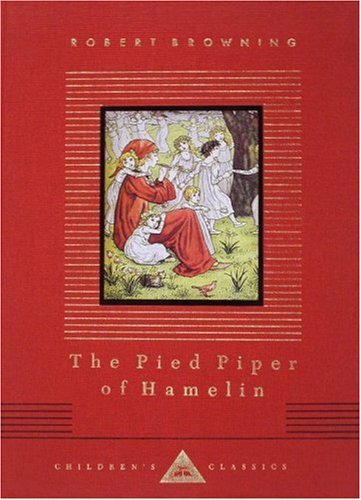 A linguistics professor created a database of all known surnames in Hameln at the time of the Pied Piper’s appearance. From that a net was cast, searching for these names, and variants, in the areas known to have been conquered by Germany around that time. North of Berlin (in part of the lands taken from the Danes in 1227) surnames originating in Hameln were found with a frequency not expected, indicating they came from migrants at some time in the past. The same surname insertion (with Hameln surnames appearing with statistically anomalous frequency based on mere chance or more “natural” immigration processes) was found in the former Pomeranian region (now a part of Poland). This hypothesis presumes the likelihood that these migratory Germans were unemployed youths in Hameln, either without skills or disenfranchised. The opportunity to colonize the newer eastern lands was one difficult to pass up when the lokator came to town. In an age of illiteracy, but needing to advertise their presence, the lokators wore bright, multi-colored (or “pied”), clothing. As word-of-mouth spread of the lokators’ intentions people began to watch for anyone wearing such garb, knowing that person might hold the key to a better life. When searching for what happened to the Hameln children specifically, though, it is believed the 130 ended up in what is now Poland as a result of recruitment by a lokator. Some surnames in the otherwise-Slavic Poland’s telephone directories show a curious commonality with those of medieval Hameln. Many parrot German names common to 13th Century Hameln: these include Hamel, Hamler and Hamelnikow, all obviously derived from their home village’s name. In modernity, the word “child” tends to conjure images of an immature (both physically and mentally) human being, ranging in age from infancy to the late teens. This same mental image is why many believe the Children’s Crusades of 1212 never happened—after all, how could mere children, physically weak, ill-equipped for life, with no guidance or resources manage a dangerous overland trek (in the case of Nicholas and his followers) from Germany to Italy? How could Stephen of Cloyes have walked from his home to the Mediterranean relatively unmolested? The truth about the Children’s Crusades is that, perhaps, the participants weren’t really children (as defined today). It is in the language of the times an answer may be found. The participants in the 1212 Children’s Crusades, with some exceptions, were certainly not all children. Given the vulnerability of children it is more reasonable to conclude the two Crusade groups were mostly teenagers and young adults. They would be healthy enough with sufficient stamina to make such a journey. In medieval times, a person who made it passed a 21st birthday could hope to live into his or her late 60’s and beyond. However, with disease, poverty, periodic starvation, accidents, and a lifetime of toil no middle-aged German serf or French peasant would have been a good candidate to survive the rigors of a trip to the Holy Land on foot. The Children’s Crusades, therefore, could only have been a dream for the young and strong. In the early 13th Century roving groups of disenfranchised people—displaced by war, famine, or disease—wandered Europe. The economic stresses such people placed on host villages and towns were undesirable. These nomads were not welcomed whenever they arrived. There was a word applied to such itinerant undesirables: “pueri”. It is a Latin word that literally means “boys”, and was used condescendingly. “Boys” did not own land or have wealth, “men” did. The term was applied to any non-status person irrespective of age or gender. The Latin word “pueri” was also used to describe the participants of the Children’s Crusades. As a reference to the naïve Crusaders the term was applied with a dose of denigration—they were called pueri in the same way today a person might snidely refer to a grown man as “boy”. Even the female participants in the marches fell under the catch-all pueri. Chroniclers, none of whom were eyewitnesses to the marches, translated the first accounts from Latin 30 years after the failed 1212 Crusades. These transcribers misinterpreted the word pueri (a slander) into first its literal meaning, “boys”, and from that it was extrapolated to mean “children”. Thus, these Crusades, which started in the Latin written record as something along the derogatory lines of, say, “The Scumbag Crusades” became known to history under the enchanting name “Children’s Crusades”, conjuring up images of bravery and piety along with the innocence of babes thanks to a translation assumption. As with the case of the Children’s Crusades, the question of how the children of Hameln could have left their village and survive an extended field trip to another land arises. The answer, as with the Crusades of 1212, is a simple one: the 130 “children” who left Hameln in 1284 were not children at all, at least by the primary modern definition. The official website for Hameln takes great care to dispassionately explore the legend of the Pied Piper even though refutation of the story is detrimental to its tourism. The site explores the voluntary migration hypothesis, but it also takes an interesting linguistic stab at solving the mystery in another way. The interpretation Hameln’s civic promoters take is that the “children of Hameln”, much like the quaint Biblical phrase “The Children of Israel”, does not mean literal children from Hameln. Rather, the name implies the people of Hameln collectively. The term “children of” formed a prefix that generically described the denizens of a particular town or village. This simple explanation makes sense. Only hale and hearty people would have been wanted for colonizing the hinterlands acquired in the east. The colorfully garbed lokators would not have wasted a sales pitch or monetary enticement on a mere child. Therefore, it only makes sense that when the writer of 1384 states “our children left” he merely meant citizens of the town. As for the inclusion of the rats where the original tale had none the Hameln site explains that inconsistency adequately. The early story, The Legend of the Children’s Exodus, only tells of children lured away; the rat story (of which German folk lore has several, featuring rat invasions and the heroics of a grandstanding rat-catcher) was a separate tale that later became incorporated into the “exodus” story, forming the complete Legend of the Pied Piper as it is known today. The legend of the Pied Piper has passed into the richly colorful and enduring body of literature known as fairy tales. The first English version of the story was written by Richard Rowland Verstegan (1548–1636). The name “Pide Piper” (with the errant spelling) made its debut in his adaptation and was probably coined by him. The Pied Piper fairy tale can be explained neatly by many things. First, the presence of a “pied piper” may not have been an ominous sign. The brightly-clad lokators may have carried simple pipes or whistles to announce their presence as they strode into town. 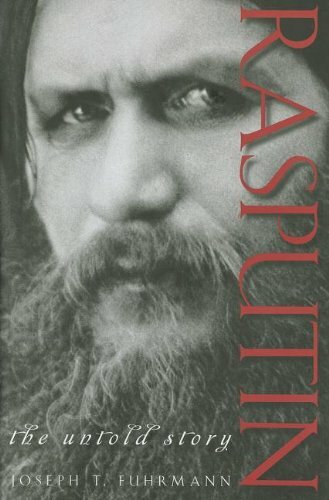 The rush to meet such a man, knowing of the possibilities he presented, could certainly be conflated into his having some magical power over his audience. As for magic, the lokators did not have magic but they offered opportunity. With small cash payments or promises of acreage, the piper could certainly “seduce” any serf into leaving hard times in overcrowded Hameln in 1284. The only sinister part of the piper’s glib wheeling-and-dealing may be over-representing the wonderful lives anyone might have in a new place thanks to his machinations. Many of Hameln’s “children” may have been disappointed once they arrived in their new homes to the east. In short, then, this tale without a moral has ingrained itself in the human psyche on the strength of word-of-mouth and a mystery. And though the conclusions drawn in solving the mystery of the Pied Piper can, at best, be called incomplete, they do tend to fit the circumstances based on etymology, linguistics, and known historic fact. The full truth will, of course, almost certainly never be known. In the meantime, the world still has a great story it can tell. A piper of another sort . . .
Hi--Well once again very intriguing, thought-provoking and interesting. Not to mention well put together. I also like your analysis since I am a firm believer that there is nearly always some truth in the roots of fairytales and mythologies. Anyway, thanks for the history two big thumbs from me and you earn a rating with this one too! 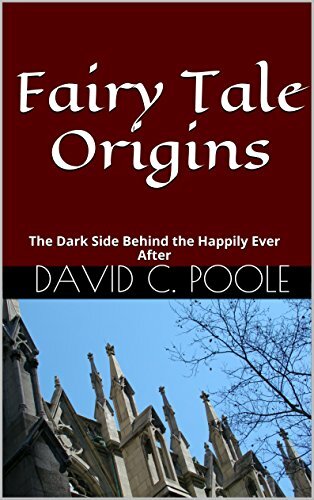 As I go on with the "Fairy Tale Origins" series (of which this is the latest installment, of which there are six others in the series) I'm finding much of them have bases in the living conditions, personalities, and events of the times though sometimes couched in allegory and gaining details thanks to literary license. However, at the core there always seems to be a singular event or person (St. Barbara of the Tower, for example, begat Rapunzel) that informs the story, and it has been one of my favored times in research digging into these tales. Thanks, as always, for reading. An enjoyable read - and one which has sent me off on many 'rabbit-trails'. I'm endlessly fascinated by the socio-politic factors at play when traditional tales are modified over time. This series has been one of the most enjoyable things I've worked on since I've been on this site, and the backdrop against which these tales were formed (mostly Medieval) represent (for me) one of humanity's most fascinating times. Thanks for reading. I'm glad you're liking my material. The history topics tend ot be my favorites (those and women!). Thanks for reading. "Hatto II; Mouse Tower; Pied Piper of Hameln." American Peoples Encyclopedia. 1963. "black death; pied piper." Britannica Ready Reference 2003. 2002.